Assembly: 2: Seat – Brilliant Bicycle Co. In this step, we'll install the seat. First, firmly grip the seat post, loosen the bolt underneath, and rotate the top most portion exactly 90*. First, lay the seat flat on the ground and upside down. To attach the seat post to the seat, make sure the bolt of the seat post is facing the rear of the seat (the fatter portion) as shown in the video. Then lower the seat post onto the silver rails of the seat. Next, rotate the top half of the seat post topper (closest to the seat) so that the silver rails fit into the grooves between the two halves of the seat post topper. If the top half of the seat post topper will not rotate, unscrew the bolt a bit more. Be careful not to unscrew too much though; if you do, the bolt will fall out. Notice the black markings on one of the silver rails. 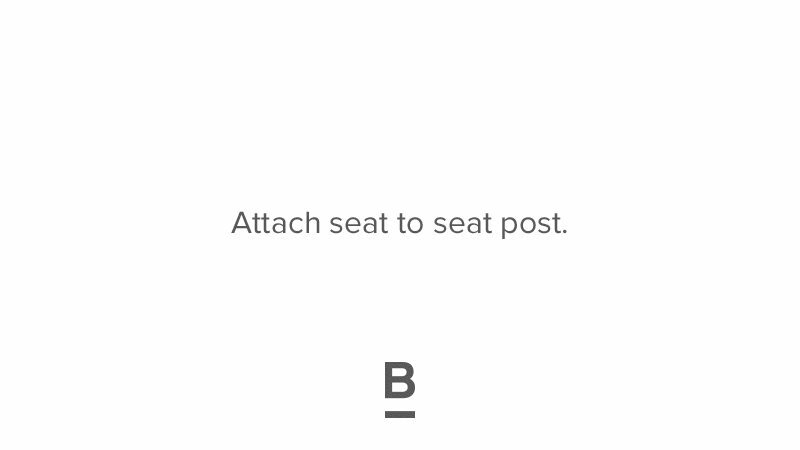 Make sure the post is centered using these markings and angle the post slightly towards the front of the seat as shown. Tighten the bolt with the red allen wrench as much as possible. It's tight quarters here, so you'll have to make several 1/4 turns to tighten. Important: there is a line on the seat post that indicates the maximum height the seat can be at. Make sure the seat is lowered to a point where this line is not visible. Using the red allen wrench, loosen the black bolt shown in the video and lower the seat post in, leaving about two inches of seat post showing. Then tighten the bolt, but just enough to hold the seat in place.  We'll do a final seat height adjustment and tightening in the last step. Now that the seat is assembled, it's onto the pedals.